Roving in the following colors: light gray, creamy white, charcoal, steel gray, chocolate brown, brown and cream, and brown gray. See descriptions of each one. 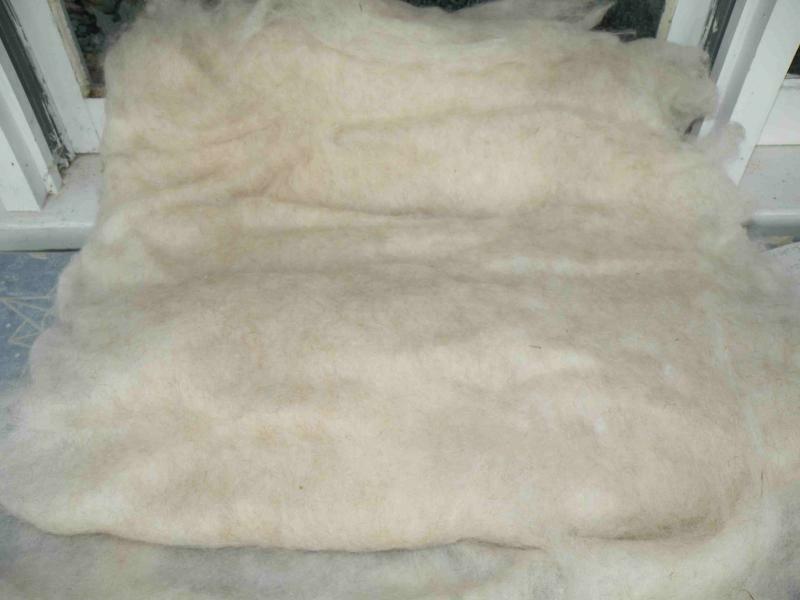 Felting bats available are light gray with black guard hairs and light brown with dark brown guard hairs. Clouds available are dyed: pink and blue green overdyed on gray. These are thin layers good for felting. 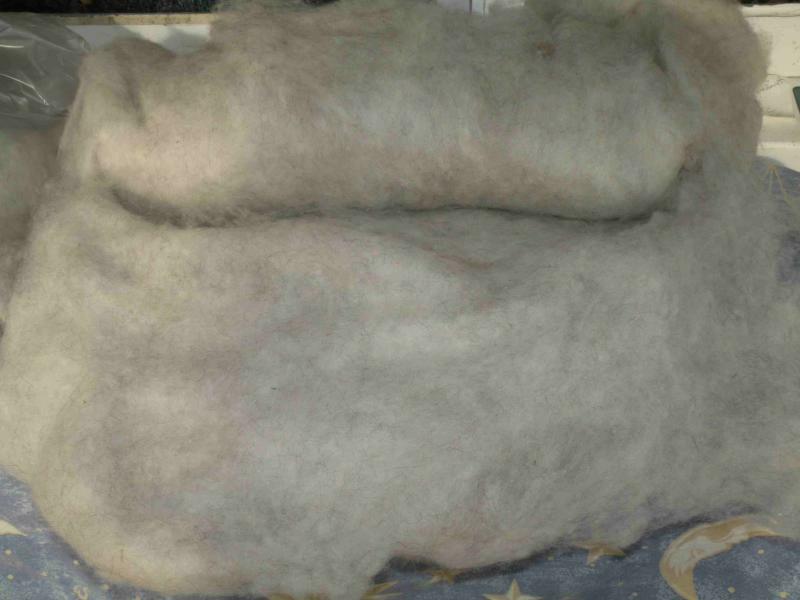 Icelandic wool is dual coated. There is a longer outer coat “tog” and a shorter under coat “thel”. When it is blended together, as this is, it creates a lovely heathery effect. I am not a spinner (yet! ), so I can’t speak to how this roving spins up. I have used this roving in making knit roving hats and felted braided rugs (see below) and it worked great. For information on how to make these rugs, contact Letty Klein. I would be happy to send you a free sample in an envelope. 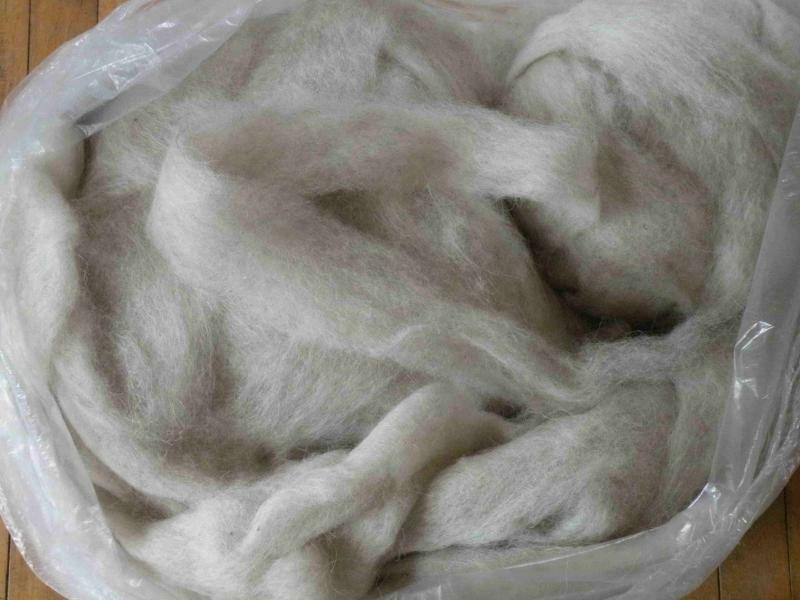 Cream colored wool, dyed pink and processed into a "cloud" which is thin layers of fiber that are great for felting. Adelle felting bat: creamy brown with dark brown guard hairs.